Conde Nast Reader Poll Again Names Telluride #1 Best Small Cities In America – 2 Years In A Row! Snow bunnies seeking adventure mixed with relaxation and luxury will be far from disappointed in this picturesque former Colorado mining town now known for its first-rate alpine skiing. In the summer, be sure to take in the renowned Bluegrass Festival, with live performances set against a stunning mountain backdrop. A penthouse suite with private, outdoor Jacuzzi at the Lumière Telluride is a top contender for “best view,” though some say dinner at Allred’s Restaurant, 10,551 feet above town at the top of the gondola, can’t be beat. To see the full 30 Best Small Cities, click here. The Villas at Cortina is a beautifully crafted, intimate enclave of signature residences within Telluride’s exclusive Mountain Village. Located directly trailside along the groomed slopes of the Sundance ski run, the property offers breathtaking views of the dramatic San Sophia Ridgeline and Telluride Ski area. Each residence offers a unique floorplan, featuring exquisite finishes, fixtures, fireplaces and flooring which will satisfy the most discriminating tastes, while common amenities include a heated pool, hot tub, club room, private ski lockers and heated underground parking. The project’s developers, Eastern Partners of Dallas, Texas, have a deep commitment to the region and the project’s continued success. Occupying a 29-acre hilltop with 360-degree views of the surrounding peaks, rolling meadows & stocked trout pond, this iconic residence showcases the modern mountain architecture of Aspen-based architect, Michael Fuller. Though located just 1 mile to Mountain Village, the setting seems a world away, with creeks, horse and hiking trails into National Forest land. Sharing a private drive with just one other comparably-sized estate, the gated enclave is a wonderful blend of modern design and mountain living. Breathtaking views from Telluride Ski Resort to the 14,000 foot peaks of the Wilson Range. An expansive Great Room with grand stone fireplace is the perfect place to gather while decks off each level open to the surrounding beauty of the serene setting. Available for just the 2nd time. To read more on this property, click here. Inspired by the finest villas of the Dolomites and Tuscany, this dramatic stone residence is the most authentic example of traditional Italian alpine design in the Telluride Region. Set high upon a knoll-top at the end of a private road with direct trail-side ski access, this gracious family home offers sweeping views of mountain peaks, spruce and Aspen forests and the contiguous groomed ski trails of the Telluride Ski Resort. Borne of decades of travel and collecting throughout the European countryside, the property’s custom-quarried stone, tumbled brick, antique marble, centuries-old fixtures,timbers flooring, were all imported from Italy to the exacting standards of one of the country’s top architects and one the region’s top builders. A true ski-in / ski out offering, this beautifully-crafted log and stone is ideally located directly on the groomed Double Cabins ski run of the Telluride Ski Resort. The custom-built home offers the warmth,quality and tasteful accommodations of a true mountain lodge with the modern finish and amenities you’d expect with a residence of its kind.The home’s spaces offer wonderful proportions radiating out from its towering great room and expansive windows framed by hand-hewn log trusses. Stacked stone fireplaces, antique flooring, custom doors and rustic ironwork complement the gourmet kitchen,intimate Master suites,guest rooms bunk area. In Summer Fall the snow-covered ski run turns to hiking trails leading into National Forest from your back door. A fully furnished contemporary home in Telluride, Colo., is listing for $39.1 million. Located in a private community called Gray Head, about 25 minutes from Telluride Ski Resort, the six-bedroom house measures about 13,000 square feet and has views of the surrounding mountains and canyon. It includes a screening room, gym, wine room, massage room and hair salon. Outside, there is a pond, an outdoor kitchen and dining area, two sunken lounges with fire pits, a hot tub and an in-ground trampoline. The home is being sold furnished, and includes pieces of art like an American flag made of toy soldiers and a 15-foot-high floating sculpture made of Velcro and about 7,000 Swarovski crystals. The house belongs to retired commodities trader Steve Mawer and his wife, Donna. The Houston-based couple bought the 35-acre parcel in 2009 for $10.1 million, Ms. Mawer said, and have spent the past few years gut-renovating the home. Ms. Mawer said she oversaw construction and decor, adding features like a floor-to-ceiling granite, steel and glass fireplace, where the flames surround a waterfall. In the massage room, she had a tile mosaic made in the image of Buddha. The work was recently completed, but the Mawers decided to sell because their youngest child is heading to boarding school in the fall. “We didn’t expect to be empty nesters so soon,” she said. They’ve also put their home in Houston on the market, although they are keeping their Florida home for now. Ms. Mawer said she enjoyed the process of building and decorating the home and likes the idea of possibly doing it again. “We just like new projects,” she said. 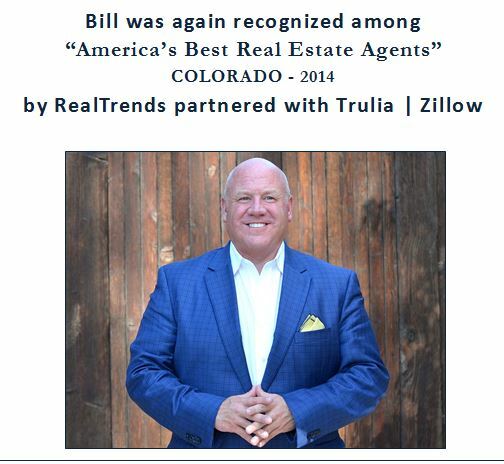 Listing agent Bill Fandel of Telluride Sotheby’s International Realty said most homes in Telluride are traditional mountain style, but contemporary houses are becoming more popular. Mr. Fandel is also listing the actor Tom Cruise’s Telluride home for $59 million.